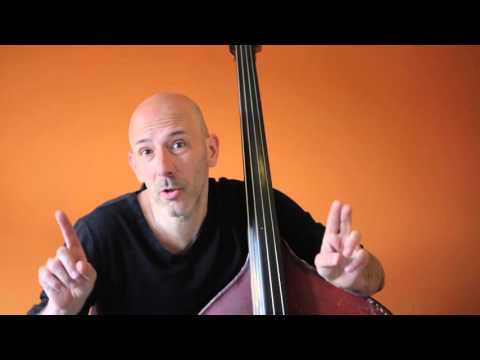 Here's a new instructional course I helped put together -- Gypsy Jazz Bass, taught by the great Arnoud van den Berg (Robin Nolan Trio, Hot Club d'Europe, Jimmy Rosenberg). There's not a ton of instructional material specifically for playing bass in a gypsy jazz band. Lots of bassists just wing it, or play in a more straightahead style. This course is intended to be the solution to that. Arnoud talks about the differences in this style, along with providing many sample bass lines/etudes. I did this course and it was very helpful. Arnoud explains it very well, I´m looking forward to the next edition.